The Big Love Fund supports the educational endeavors of Tenzin Ösel Hita, the recognized reincarnation of FPMT’s Founder Lama Yeshe. *powered by Google TranslateTranslation of pages on fpmt.org is performed by Google Translate, a third party service which FPMT has no control over. The service provides automated computer translations that are only an approximation of the websites’ original content. The translations should not be considered exact and only used as a rough guide. Please use this online donation form to make a donation to the Big Love Fund below. 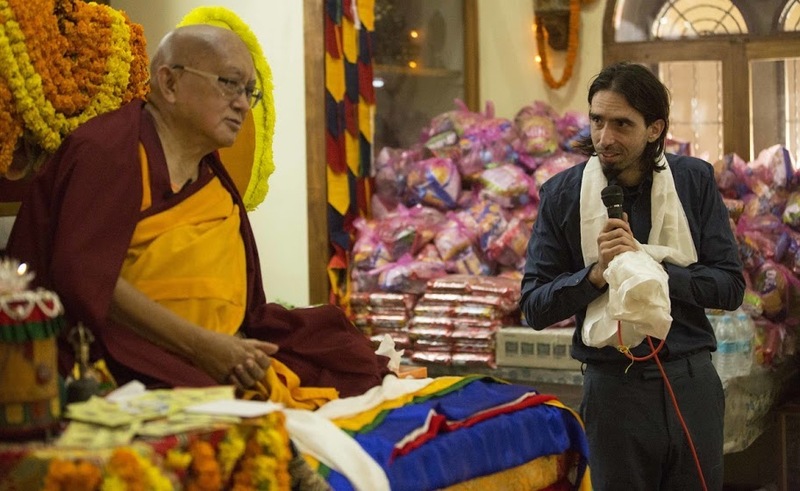 Don’t see your FPMT Charitable Project listed above? Please click here for a complete list of FPMT Charitable Projects and other FPMT funds you can support. Please contact Donor Services for details on making a donation by wire transfer or other payment methods. If you have any questions about donating to the FPMT Charitable Projects, please send an email to the Charitable Projects Coordinator. If you need any other help with your donation, please write to Donor Services.